Business travelers want points. You want your business travelers to book within program. 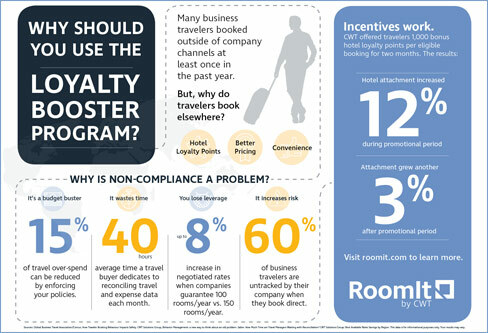 A simple solution: Award corporate travelers additional hotel loyalty points for a limited time and improves hotel compliance. Learn how CWT clients successfully grew their hotel attach by double digits.